Don't miss out on this epic cycling adventure! Meet Didi and all the iconic Tour de France cycling characters along the way! What you don't see on the Tour de France TV broadcast! Experience the crazy fun of the Tour de France 2019 publicity caravan before each cycling stage. We are super excited to announce our official Tour de France 2019 route for any cyclist who has dreamed of experiencing the Tour de France up close. Want to be part of the adventure, mayhem and glory of the 2019 Tour de France? Let the experienced VeloRoo cyclists be your guide and make memories of le Tour to last a lifetime. 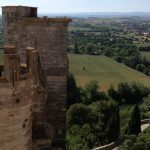 Welcome to VeloRoo’s Tour de France Cycling Holiday for 2019! We have almost booked out within one month of releasing details! Only 2 places left! 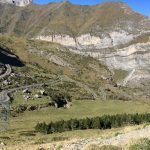 In 2019 we are offering an 8 night Tour de France package, where you will experience 4 stages of the 2019 Tour de France live, including one of the iconic Pyrenees mountain climb stages! 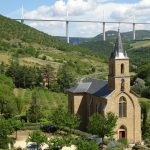 VeloRoo’s Tour de France 2019 package combines the excitement of watching Tour de France live with cycling in some of the most idyllic regions of France, where you can enjoying amazing local food and wine and soak up the scenery in style. A true Tour de France Cycling Holiday! 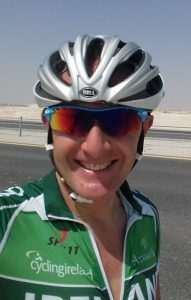 In 2019 we are thrilled to announce that Neil Martin, 2 times Olympic cyclist (and mega-proud dad to current Tour de France rider, Dan Martin) will join VeloRoo as additional ride support and to provide his expert cycling assistance to our clients in the saddle. 2 ride guides including 2 times Olympic Cyclist, Neil Martin! Tour de France memories to last a lifetime! All of our Tour de France Cycling Tours include performance road bike hire for the duration of your adventure with us. No need to lug your bike on the rest of your European holiday! a cycling adventure you will never forget! Day 8: 21 JulSunday/DimancheThe most incredible climb you have never heard of but will never forget!